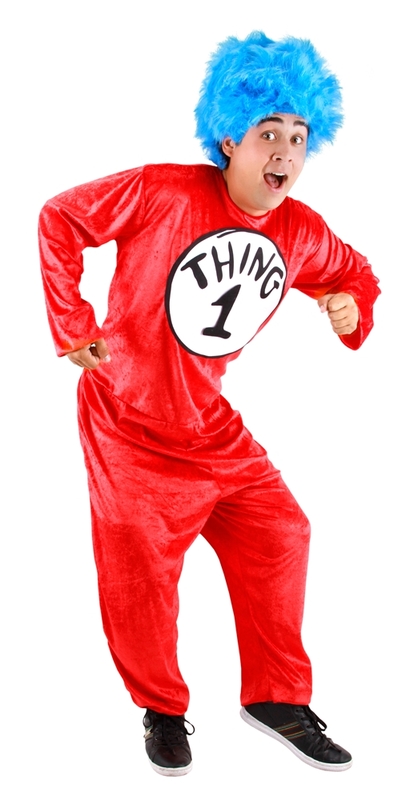 This Dr. Seuss Thing 1&2 Classic Adult Unisex Costume comes with everything you need to turn into one of Dr. Seuss' wacky characters, including a red jumpsuit, 1 and 2 velcro numbers, and a fuzzy blue wig with a size adjuster. This Thing 1 and Thing 2 costume is perfect for Halloween and for bringing the Cat in the Hat book alive during story time! Spot Clean Only. Do Not Wash.